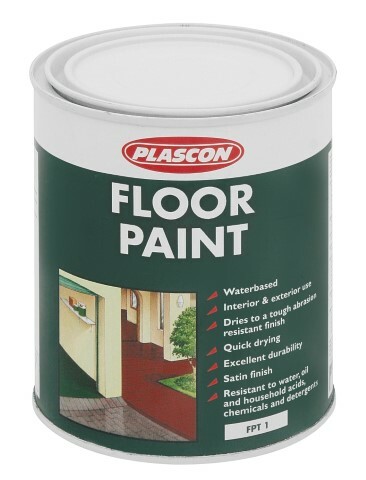 A high quality water based floor paint for concrete surfaces. 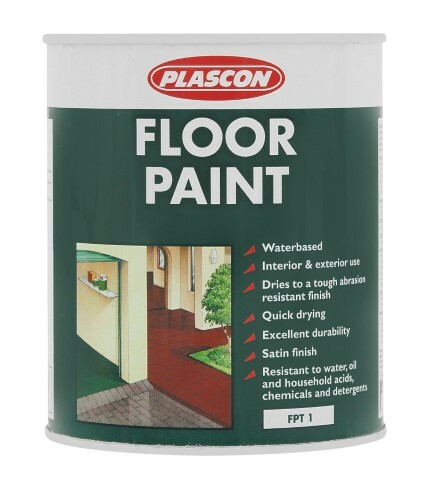 PLASCON FLOOR PAINT is a durable, hardwearing and fashionable coating, for interior and exterior domestic concrete surfaces such as floors, patios, driveways, pathways and garages.  Easy to use, water based satin finish.  Rapid drying; can be over coated within 4 hours, enabling two coats to be applied during the same day.  Easy application by brush, roller or airless spray.  Easy to clean equipment with water after use.  Excellent adhesion to correctly prepared concrete.  Good adhesion to surfaces previously painted with water based paint.